Unexpectedly dovish comments from Reserve Bank of Australia (RBA) Governor Philip Lowe saw the Pound Sterling to Australian Dollar (GBP/AUD) exchange rate surge sharply higher. Lowe’s comments caught markets off guard in the wake of Tuesday’s largely unremarkable RBA policy meeting, which had appeared less dovish in nature. As Lowe introduced the prospect of an interest rate cut the appeal of the Australian Dollar (AUD) declined dramatically as investors reassessed the odds of future monetary policy moves. With an interest rate hike appearing an increasingly distant prospect AUD exchange rates were naturally biased to the downside. 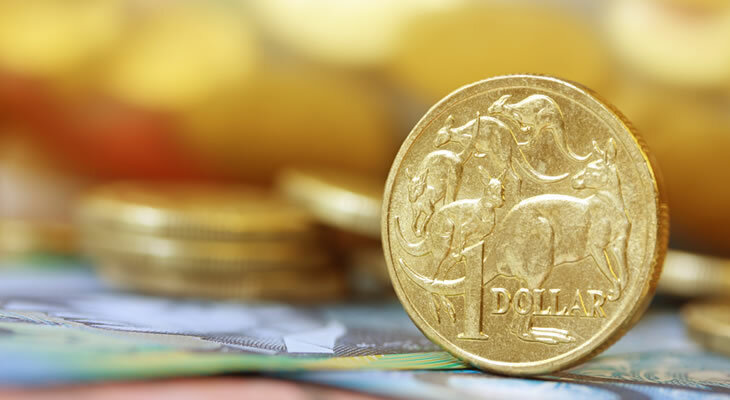 A general sense of market risk aversion also helped to drag the Australian Dollar lower on Wednesday morning as worries over the health of the global economic outlook persist. The GBP/AUD exchange rate may struggle to hold onto its bullish momentum ahead of Thursday’s Bank of England (BoE) policy announcement, though. With the UK economy showing signs of a slowdown the outlook of BoE policymakers is likely to prove cautious, leaving Pound Sterling (GBP) exposed to fresh selling pressure. As long as the BoE signals an intention to leave interest rates on hold in the near future the upside potential of GBP exchange rates should prove limited. On the other hand, any indication that the BoE is taking a dovish policy outlook could drive the Pound lower across the board. The latest quarterly Inflation Report may also drive GBP exchange rate volatility, with the Pound looking vulnerable to any downgrade to the BoE’s forecasts. Increasing market anxiety over the approaching Brexit deadline is also likely to limit the GBP/AUD exchange rate’s gains in the days ahead. Friday’s RBA Statement on Monetary Policy could see the Australian Dollar come under renewed pressure, however. Another dovish message from the central bank would give investors additional incentive to sell out of the antipodean currency as the odds of a rate hike continue to diminish. If the RBA shows fresh signs of concern over the economic outlook the mood towards the Australian Dollar is likely to sour further. Even so, AUD exchange rates may find a rallying point in the short term if January’s construction index shows an improvement on the month. Evidence that the construction sector is picking up momentum could boost the Australian Dollar, even if the headline index remains within contraction territory. Any fresh decline in sector growth, though, would expose AUD exchange rates to additional downside pressure. As the RBA has already expressed some misgivings over the outlook of the domestic housing market any weakness here may encourage policymaker dovishness, to the benefit of the GBP/AUD exchange rate.